Are You Looking for the Best Gift for Men? 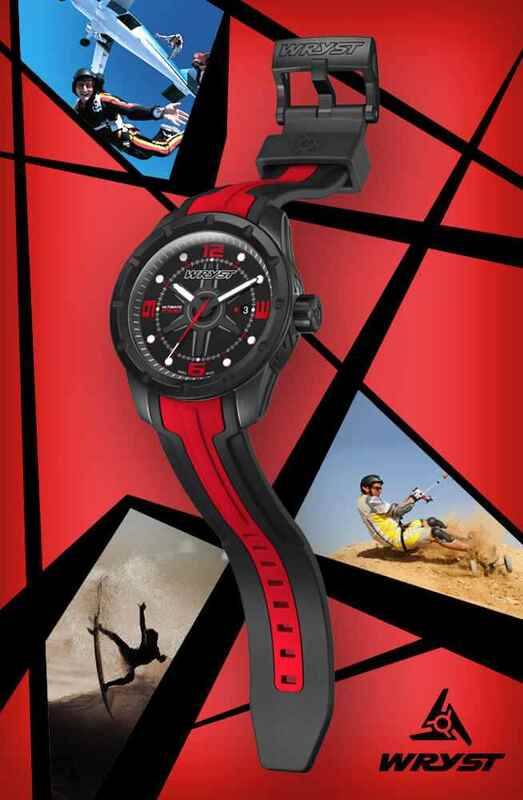 Offer your partner, a friend or a family member one of the unique Wryst Ultimate Swiss sport watch. Produced exclusively in limited edition, no one else will wear the same identical watch, ever! Engraved on the case back, the serial number of our timepieces are a testimony of their authenticity and uniqueness. 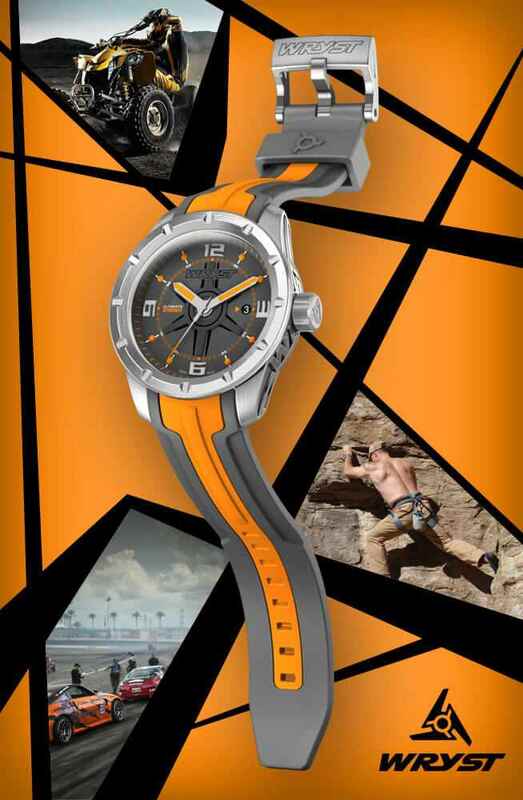 You can offer a quality durable Swiss sport watch in confidence as we guarantee full satisfaction or your money back. 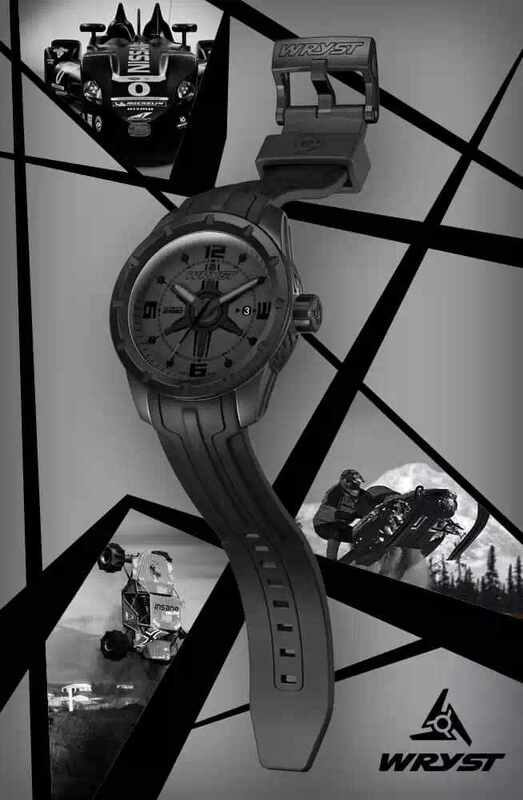 Swiss watch brand Wryst also offer an emphatic and highly devoted customer service. It looks like you are no longer looking for the 2016 best gift for men. 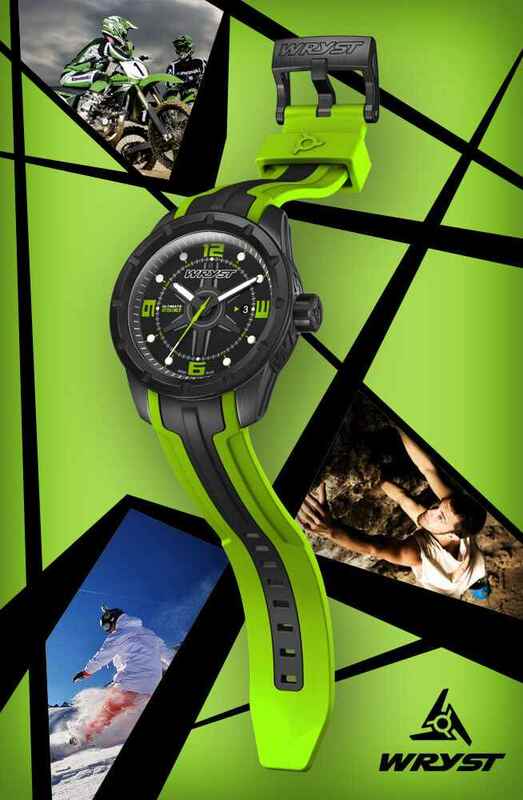 Best gift for men: "Wryst Ultimate Green Sport Watch ES30"
Built and assembled in the Swiss traditions and know-how, the watches for men from the Ultimate collection benefit of durable long lasting materials, such as sapphire crystal with AR coating, and for all black watches a hard diamond-like Carbon Coating for an ever lasting experience. Unlike most other black stainless steel watches, the black DLC coated Wryst parts are the strongest ever produced in the watch industry, protected by a technology used in Formula 1 engines. 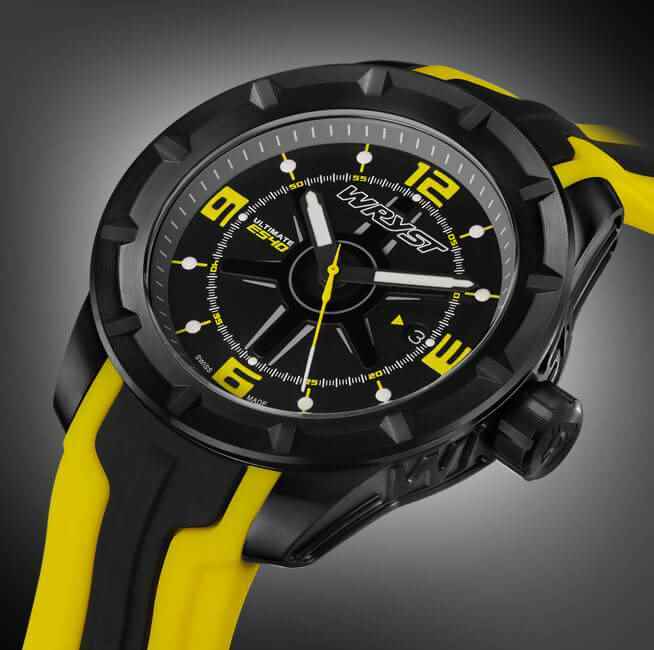 Best gift for men: "Wryst Ultimate Yellow Sport Watch ES40"
The sport watches Wryst of this collection are 200 meters water-resistant. 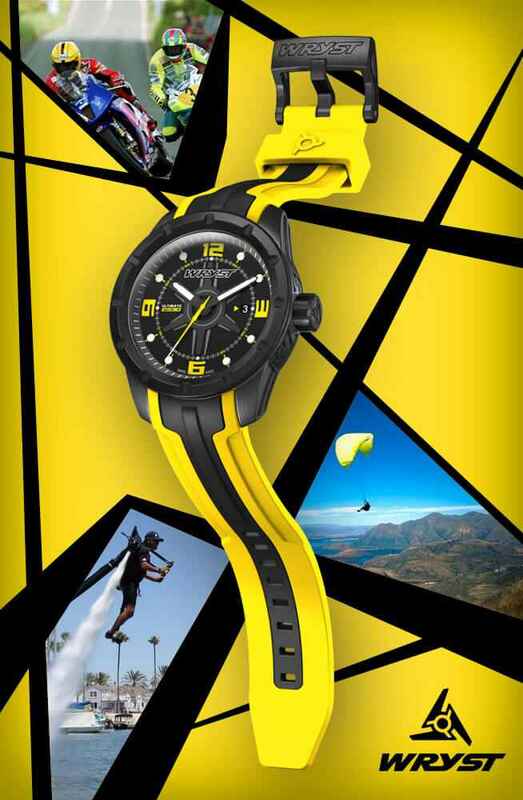 This makes our timepieces the best companion for adventure and water sports. 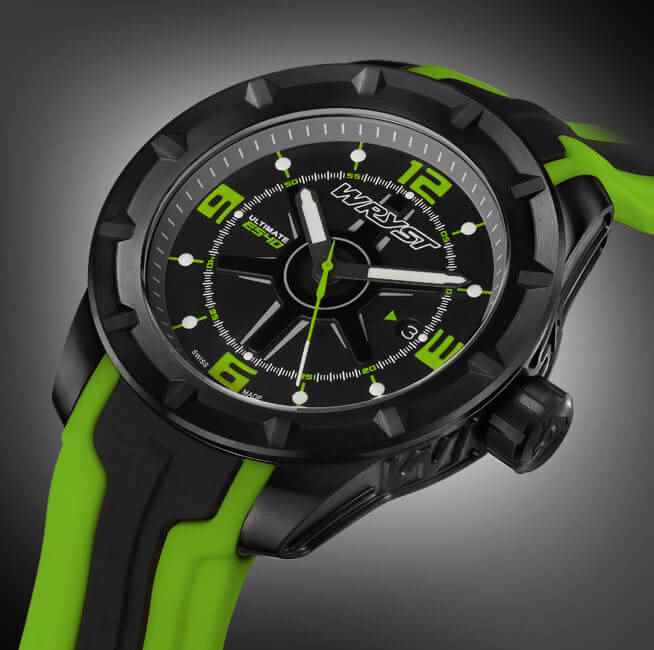 Ideal for swimming, surfing, wind-surfing, jet skying etc.. this ES collection has the specifications required with a four-screwed case back and screw down crown system. Please note the condensation problem can be caused by high differences of temperatures as detailed and explained on THIS PAGE. 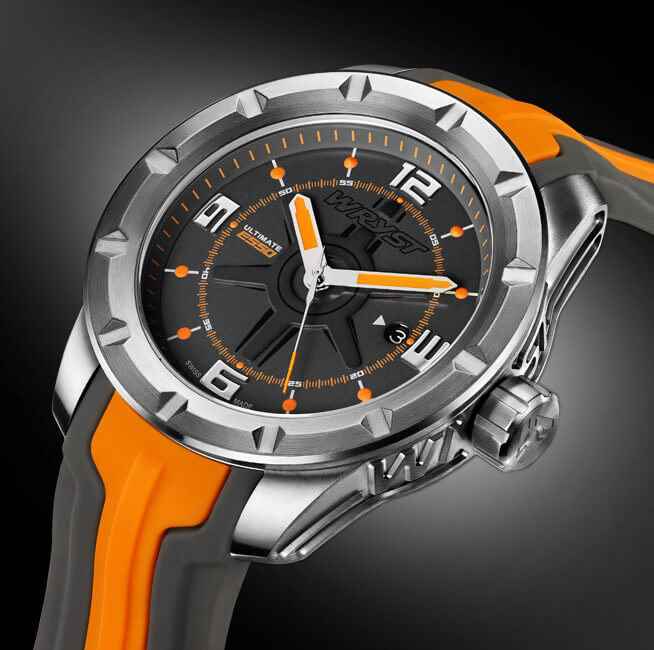 Best gift for men: "Wryst Ultimate Orange Sport Watch ES50"
All 2015 Isle of Man TT Race Winners Wear This Sport Watch! The winners of the greatest show on earth, the "Isle of Man Tourist Trophy" are the proud owners on an exclusive Ultimate sport watch as shown on our blog post HERE. Retailed at an affordable price, avoiding all middle man such as retailers or distributors, there are no excuses for not seeing a fantastic opportunity in wearing a comfortable limited edition Wryst watch. 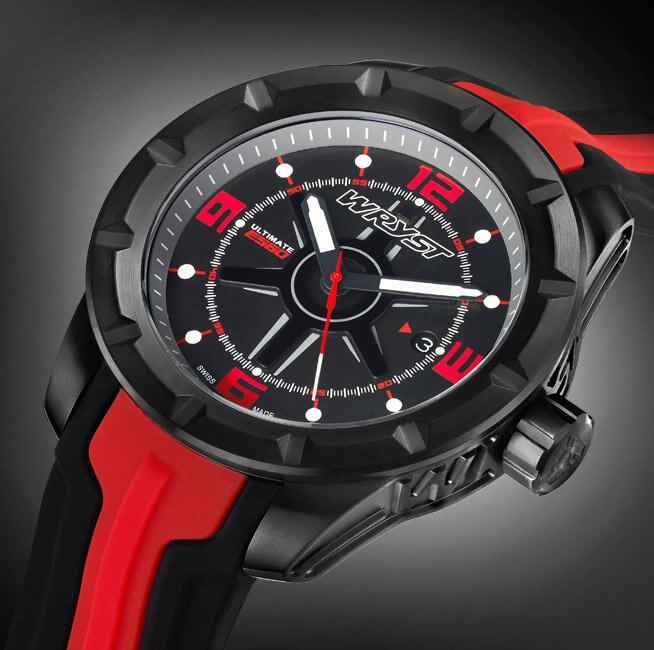 Best gift for men: "Wryst Ultimate Red Sport Watch ES60"
Finally, from the ES30 all the way to the ES60 references, the timepieces Wryst Ultimate are a statement of individualism, and with vivid bright colors, they make the show. The black on black Wryst reference Ultimate ES20 is entirely coated with black DLC, including also the back of the watch with a shinny black polished finish. 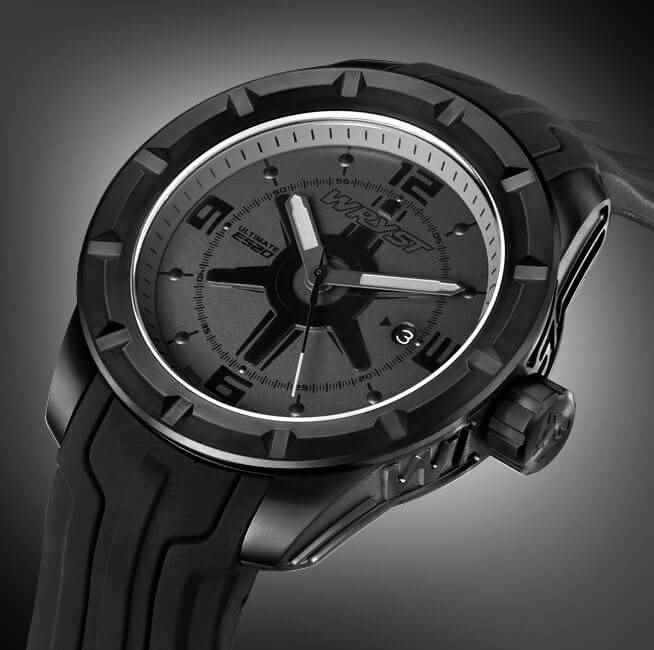 Best gift for men: "Black on Black Wryst Ultimate Sport Watch ES20"
These watches are just incredible. Very refreshing colors. I think these watches are probably the best present that a person who loves sports can receive! I really wanted to surprise my boyfriend for this Christmas and since we both are very much into sports, I thought that a present related to sports might be the best idea. Indeed, I spent quite a lot of time searching for these watches in my area and I finally found them in this shop and bought one for my boyfriend. He was so happy when he opened the present! I can absolutely recommend it as a present for friends or for yourself as well!